Abstract: This is the updated version of the Readme.html file that is installed with the product. This file contains important supplementary information that might not appear in the main product documentation. We recommend that you read this file in its entirety. For an updated version of these Release Notes, see the Embarcadero Developer Network article (http://edn.embarcadero.com/article/40775). This document refers to the "product" when the information applies to Delphi XE and/or C++Builder XE. For information about installation, deployment, and licensing issues, see the Install, Deploy, and License files located, by default, at C:\Program Files\Embarcadero\RAD Studio\8.0. Before installing, uninstalling, or upgrading the product, see the Install.htm and License.rtf files for detailed information about installation and licensing issues. The Install.htm file gives the system and free space requirements for installing Delphi and C++Builder XE, as well as installation and upgrade procedures. After installation, all the release notes (including the Install.htm and License.rtf files) are located by default at C:\Program Files\Embarcadero\RAD Studio\8.0\.. Samples: The Demos for the product are now called Samples. Samples are defined as source code for full projects. To browse the Samples directory, select Start | Programs | Embarcadero RAD Studio XE | Samples. If you choose All Users during installation, the demos are installed in C:\Documents and Settings\All Users\Shared Documents\RAD Studio\8.0\Demos. If you choose Just Me during installation, the demos are installed in C:\Documents and Settings\username\My Documents\RAD Studio\8.0\Demos. On Windows Vista, if you choose All Users during installation, the demos are installed in C:\Users\Public\Documents\RAD Studio\8.0\Demos. On Windows Vista and Windows 7, if you choose Just Me during installation, the demos are installed in C:\Users\username\Documents\RAD Studio\8.0\Demos. 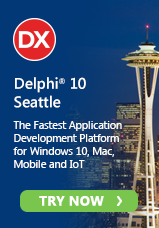 Delphi XE includes licenses for Delphi 2010, 2009, 2007 and 7. C++Builder XE includes licenses for C++Builder 2010, 2009, 2007 and 6. RAD Studio XE includes all the earlier version licenses for both Delphi and C++Builder. For more information about licenses for earlier versions, see the Install.html file. IDE Support of Unicode Characters Outside the Basic Multilingual Plane: Windows Vista, Windows7, and future OS's correctly display the font for any language. On XP operating systems, however, the font that the IDE uses (Tahoma, which ships with English versions of the operating system) does not support the display of characters outside the basic multilingual plane. Characters that use surrogate pairs will not display correctly in some parts of the IDE including the Object Inspector. To enable correct display, it is necessary to install supplemental language support into Windows. This is done through the Regional and Language Options item in the Windows control panel. For additional details, see http://blogs.embarcadero.com/nickhodges/2008/07/17/39073 . Add (or update if it already exists) a string value called ForceEnvOptionsUpdate. Assign it a string value of "1". When this registry key has a value of "1", the next time the IDE runs, it updates the EnvOptions.proj file on disk to include the path(s) that your installer added. The EnvOptions.proj file is the mechanism by which the new MSBuild build engine in the IDE is able to include paths that are listed on the Library - Win32 page in the IDE's Tools>Options dialog. WinHelp: Windows Vista does not support the legacy WinHelp help viewer (WinHelp.exe). If you want to use .HLP files, you need to add the WinHelp32.exe viewer to the uses list of any unit included in the application, and download the WinHelp32 viewer from the Microsoft website http://www.microsoft.com/downloads/details.aspx?FamilyID=6ebcfad9-d3f5-4365-8070-334cd175d4bb. See the related item under General Notes. You should migrate your help system to HtmlHelp if possible. Reconfigure BDE: If you are using BDE on Windows Vista or Windows 7, you need to reconfigure BDE so that it does not attempt to write files to the C:\<root> directory. To do this, log on as an administrator and run BDEAdmin.exe, located at Program Files\Common Files\Borland Shared\BDE. Under Native, click PARADOX, and change NET DIR to point to a location other than the root directory. A suggested target is C:\Users\Public\Documents\RAD Studio. The Delphi compiler now outputs .hpp header files by default. This is a change from past releases. For example, if you attempt to import a DLL by ordinal value, the compiler issues "E1025 Language feature not supported" because .hpp generation is not compatible with importing a DLL by ordinal value. However, you can import a DLL by ordinal value if you turn off .hpp generation. Go to the Project > Options > Output - C/C++ page, and for the option C/C++ Output file generation, select a value that does not include headers, such as "Generate DCUs only." If you want to expose TObject-based types in a C++ Datasnap Server, the types should reside in a Delphi package. Go to Project > Options > Packages and check the Build with runtime packages option. The UnicodeString.t_str() function now always returns wchar_t* regardless of the current _TCHAR mapping. This change does not affect you if you use _TCHAR mapping = wchar_t. In recent releases, t_str() returned either const char* (if _TCHAR was mapped to char), or const wchar_t* (if _TCHAR was mapped to wchar_t). If _TCHAR mapping is set to char, you cannot assign the result of the t_str() function to something that does not support wchar_t (a compiler error is emitted in this case). For the first product shipment, the help has not been updated to describe this change. On the C++ Linker page, check False for Link with Dynamic RTL. On the Packages page, uncheck the Build with runtime packages option. If you are using C++Builder with WebSnap, ensure that the executables are written to the same directory as the HTML files. On Project>Options>Paths and Defaults>Final Output, enter a dot (".") so that the executable is written to the project directory. To download the WinHelp viewer, visit the Microsoft website: http://www.microsoft.com/downloads/details.aspx?familyid=6ebcfad9-d3f5-4365-8070-334cd175d4bb. If you are upgrading a database application from Delphi 2007 to Delphi XE, the connection might fail. The workaround is to add DBX<database_name> to your uses clause. For example, if you are using a TSQLConnection and connecting to an Oracle database, you need to add DBXOracle to your uses clause. Driver co-existence: If you have a previous version of the product installed and try to use the older version, it may load the drivers from this release when running from the IDE. This is because the bin directory is ahead in the system path. To use the older drivers one solution is to add an Override to your path in Tools > Options > Environment Variables and place your older bin directory at the front of the path. Blackfish SQL: Blackfish SQL is not supported by Delphi XE and C++Builder XE. When you open the context menu (right-click) on the Model View tab of the Project Manager, the command Open Diagram might not be enabled. However, you can open the diagram view by double-clicking the grayed-out Open Diagram command. Localized versions of the docwiki are also available; see the navigation sidebar in the main docwiki. The Microsoft Windows Platform SDK help is no longer installed by default with the product help. However, you can choose to install the MS SDK Help when you install the help by setting the MS SDK Help item on the Select Features page to Will be installed on local hard drive. For more information, see the Install.html file, available on EDN at http://edn.embarcadero.com/article/40774. You can choose specific help volumes (such as MSDN Online) to be used in Search and Index functions in the online help. For example, you can limit your searches to include only the local help provided by RAD Studio, and you can specify that the help viewer will display local help first or help from online providers first. To specify the help source for the help viewer, select Tools > Options > Help > Online. Select the option "Try local first, then online" to enable the browser to find the proper RAD Studio Help files and to display search results from the local help first, followed by results from online providers. For more information about using the help viewer to your advantage, see the full EDN article, "Getting the Best Results with RAD Studio Online Help" at http://edn.embarcadero.com/article/37562. Microsoft Document Explorer 2008 (dexplore.exe) is required to view Delphi and C++Builder XE online documentation. If you do not have Microsoft Document Explorer 2008 installed, it will be installed as part of the Help System Install. There is a known issue that a pre-release version of the license for Microsoft Document Explorer XE is displayed. You can obtain updates of the help system by using the same process you use to obtain product updates. Select Start | Programs | Embarcadero RAD Studio | Check for Updates. To upgrade an ITE/ETM project from Delphi 7, your dfms need to be in text format. To perform this conversion, use convert.exe (installed by default to C:\Program Files\CodeGear\RAD Studio\8.0\bin). It is not recommended that you use your user-locale for the UI locale. The user-locale controls the format of numbers, date and time. The UI-locale controls menu, error message and all human-readable text for the specific language. VCL/RTL selects the same localized module that Windows uses. But if you want to use the user-locale to select the UI module, use the following solution. If international characters are used in the String/Memo fields, TCustomClientDataSet.SaveToFile to XML might generate incorrect data. For example, spaces might appear in place of accented characters. Due to changes in the Windows SDK, calling SizeOf(TNotifyIconData) will yield incorrect results on Windows versions prior to Windows Vista. Calling the TNotifyIconData.SizeOf method returns the correct size on all versions of Windows. When OwnsObjects is True for a TStringList, the list items are destroyed before the associated objects. Unable to load WSDL File/Location: <wrongURL>. Error [Empty document]. The preferred workaround is to start the WSDL Importer using the alternate pathway (Component > Import WSDL). The error should then be caught inside the wizard. The Win32 SOAP server support generates the older RPC|Encoded style WebServices. If you want a document/literal service or a service of any other WS-I compliant style, you should build your SOAP server using Delphi Prism, which supports the SOAP specifications that are supported by the .NET framework, including WS-I compliant styles. To resolve the error condition, simply delete the line of code that caused the error, and the project will compile. Copyright 2010 Embarcadero Technologies, Inc. All rights reserved.